If you have to make your garden dollars stretch, don’t worry. The bare land around your home can be dressed up quicker than you imagine – and on the tiniest of budgets. 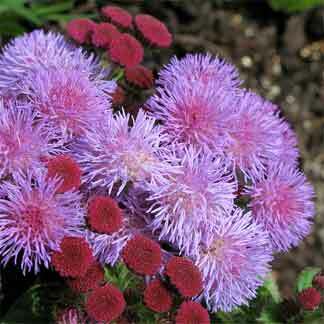 The trick lies in learning to landscape or garden with inexpensive annuals. Look around you. Pick out a landscaping plan that has appeal and copy it with rapid growing annuals. You can acquire your permanent planting (perennials) a few at a time. Meanwhile, the annuals can pinch hit for them. Annuals are plants that go through an entire life cycle, seed germination to flower, in one season. A few perennials, such as snapdragon and petunia, flower the first year and gardeners in some parts of the country treat them as annuals. Fire bush (Kochia) makes a handsome substitute for pyramidal evergreens. There are annual vines to pretty up a trellis, a wall, or to screen service areas. There are upright growers for edging or cutting or to be dried for winter bouquets. No matter what your soil, or the amount of shade or sun your garden receives, you’re sure to find some annuals especially suited to your garden conditions. If the growing season in your part of the country is short, you’ll get more garden value if you start some of the annuals indoors 6 to 8 weeks before they are to be planted in the outdoor garden. Seeds are very inexpensive. Generally, more seeds germinate than you can use. To obtain different varieties you might exchange with a garden-minded neighbor. Plant seeds in dishes filled with vermiculite or sand or in plastic flats filled with soil and topped with two inches of vermiculite. Seed packets give planting depths with large seeds being planted a depth two to four times their thickness; tiny ones are merely sprinkled and pressed into the growing medium. Set the planting in a warm dark place. With most of the commonly grown annuals seed germination takes place in four to ten days. More rapid germination is assured if you cover the plantings with a pane of glass or wax paper in which holes for ventilation have been punched. If moisture adheres to underside of glass, slide it off until the drops evaporate. After germination, set the plantings where they receive sunlight. If you don’t have sunny windows you might like to place them about six inches from a pair of 40-watt fluorescent lights. Leave the lights on 12 to 14 hours a day. When danger of frost is past condition the seedlings by setting the plantings in a shaded outdoor area, such as the north side of a building. Keep them watered and within a few days they will take on deeper coloring and be ready for transplanting into the garden. Do your transplanting on a dull day or along toward evening, as the bright sun burns the tiny leaves. After transplanting give them a light watering. If you don’t have space to start annuals indoors you can get an excellent though somewhat later show by planting most of them directly into the outdoor garden. When you start fixing up your yard you’ll want plantings for these areas: around the base of the house (foundation plantings); as separation from neighbors (boundary line plantings) ; focal points for the front yard; your “real” garden; screenings for garbage cans, or perhaps a disguise an air-conditioner. The foundation planting should contain plants of interesting form and foliage interspersed with a few bright blobs of color. When the planting becomes a permanent one you’ll probably choose for it evergreens and a flowering shrub or two. With your budget planting you can do a neat bit of substitution. The big dramatic plants, castor beans, can do as much for your landscape as Jack’s beanstalk did for him. Flank your picture window with a pair and you’ll have a garden picture from inside the house, a fascinating foliage display when viewed from outside. When used singly or in pairs they do much to dramatize a doorway. 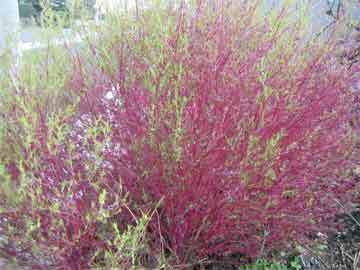 For the smaller planting, those used to simulate evergreens, use Mexican fire bush (Kochia). This little plant is a neat grower and its pyramidal form is a delight. Bright colored petunias, balsams or coleus can be planted to add the touch of color. If you want something a little more stately try some of the annual dahlias. In the boundary use kochia (Fire Bush) for a neat two-foot hedge. If you like a flower border in your front yard you’ll find a wealth of annuals to help you. There are tall bronze, gold or lemon marigolds, spikes of frilly pink cleome, blue and purple larkspur, and for the border, frothy and fragrant mignonette or dainty blue ageratum. There’s no limit to the amount of handsome foliage or flower plants you can raise in your real garden. In fact, any of the annuals listed in the chart make effective gardening material. When it comes to hiding service areas you’ll find annuals also do a grand job of hiding the fuel tank. Vines, trained up a trellis, look pretty and provide a screen for service areas. 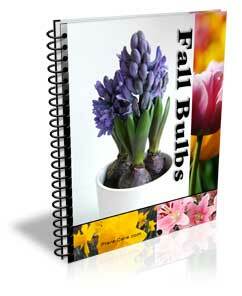 For that first year planting rely on annuals. A dollar or two spent on seeds, a little ingenuity in planning and planting, and you’ll have a flattering frame for your new home.